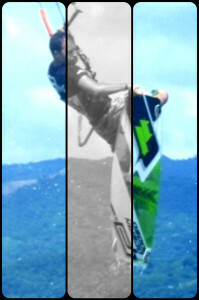 Our Kiteboarding school Costa Rica, provide kitesurfing courses and rentals at incredible prices. Our main concern is to obtain a high level of quality training for our students. We will put all our efforts to get what you need!! At our kitesurf school Costa Rica we have a wide range of Kiteboarding courses and rentals for all levels and adapted to all situations. All our instructor are (International Kiteboarding organization) certified. For all our courses and rentals we use NEW GEAR. Our kiteboarding school in Costa Rica arrange custom lessons including accommodation in case you need it please contact us. Besides courses and rentals we also provide Hotel transfers from other places in Costa Rica. **Price includes kitesurf gear, wetsuit (in case you need it), harness and helmet. Quick release and bar recovery demostration and practice. First practice with a power kite. * **The amount of time to take each lesson is an estimation, it can take longer or less depending on the person. **The rentals on Christmas time are not done by day, just by hour.